Calendula officinalis is a plant most often used to brighten up a garden or flower bed. It’s a popular choice because it’s pretty and is super easy to grow. But, what many people don’t know is that their pretty garden-addition is a valuable herbal remedy. Calendula, also known as “pot marigolds” are usually a bright golden color. It is often mistaken for “common marigold” or Mexican marigold, which are very different and are members of the Tagetes genus. They don’t offer the same medicinal benefits as calendula, so it’s crucial when looking for the herbal remedy that you know what you are after. Calendula officinalis also has antimicrobial, antiviral, and astringent properties, and is a go-to skin treatment for many herbalists. Because calendula is most often used topically, an infused oil is great to have on hand at all times. Dillon and other herbalists recommend infusing the petals in organic olive oil. Simply put dried Calendula flowers in a clean, glass jar. Cover with olive oil, ensuring there is at least one inch more of olive oil than flowers (they will expand). Place the jar in a warm windowsill and shake a few times a day. As it brews, the flowers will infuse the oil with all of their goodness. After about four to six weeks, you can strain off the plant material and bottle the oil for herbal preparations. You can use the oil plain– to dab on cuts and scrapes, or rub into tired and sore muscles– or you can add an essential oil, and beeswax to make a salve. Another simple option for reaping the benefits of this flower is a tea. 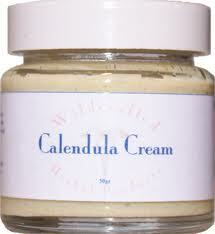 Use one to two teaspoons of calendula flowers and cover with boiling water. Allow to steep for three to five minutes before drinking. When taken internally, Calendula works to fight Candida albicans—a yeast imbalance that can lead to everything from yeast infections in women to mood swings, inflammation, and fatigue. It also promotes liver and gallbladder health, improves digestion, and aids in soothing PMS. Your tea can also be used topically. A compress can be soaked in the tea and then applied directly to wounds and sore muscles. When it comes to beginning gardening, Calendula officinalis is where it’s at. Like the mint plant, from which you can experience peppermint tea benefits, these flowers require little effort and are easy to grow from seed. 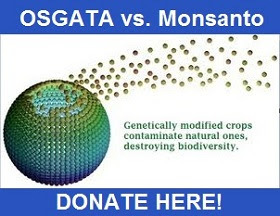 You can sow the seeds directly in the ground or use pots. They will do best outdoors but can also be successfully cultivated in a sunroom. The best time to plant your Calendula seeds is early spring, or even start them indoors in late winter before moving to the garden when things warm up. You have about two months from the time you plant your seeds until you begin seeing your first blooms. They prefer full sun, but will do well with a little shade too. You don’t need to worry about fertilizing the plant, as they will do good with any rich soil. Make sure Calendula doesn’t completely dry out though; take care to water thoroughly in the summertime. 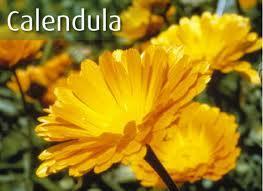 You can being harvesting your Calendula as soon as your blooms begin opening. Actually, the more you harvest, the more it encourages new growth, so don’t worry that you’re taking too many. Simply snip or pinch off the entire flower head and use fresh or dried. Where you start with Calendula officinalis or you’d rather being with growing thyme, growing your own medicine can take you on a fantastic, educational journey through connecting with nature.